For emergency appliance repairs for the Hampden area, call L&W Appliance Service. We stock our trucks with the most-common factory-authorized appliance parts for fast, same-day service. We know your time matters and make every effort to arrive on-time and provide a fast, efficient and honest repair. In business since 1980, we have been providing quality repair services for the Hampden, Mass., community for over 33 years. We repair most major brands of household appliances, from dishwashers to washers, dryers, ranges, refrigerators and freezers. Whether your dryer is not working, or your oven is not heating, our trained and licensed technicians will take the time to review the problem and work hard to get your appliance up-and-running as soon as possible. 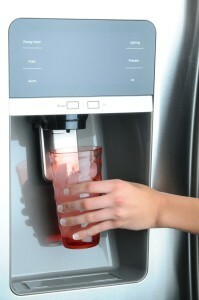 If water is not dispensing from your refrigerator’s water dispenser, it might be time for a new water filter. Try replacing your refrigerator’s water filter to see if that fixes the problem or improves the flow speed. Hampden is a town in Hampden County, Massachusetts. The population was 5,139 at the 2010 census. It is part of the Springfield, Massachusetts Metropolitan Statistical Area. The town has a central “village” part which houses government, public safety and some commercial businesses and the “west side” which consists mostly of commercial businesses.